The new Volvo S60, V60 and XC60 will go on display for the first time at the Geneva Motor Show in March this year. 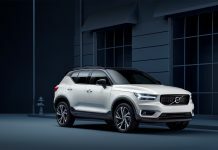 In South Africa the Volvo S60 and Volvo XC60 are two of the most popular Volvo models to date and we are extremely excited about the much-anticipated, stunning new versions. New design focusing on quality and attention to detail, with more Scandinavian style than ever before. Scandinavian design is exemplified by beautiful, simple shapes and surfaces with any unnecessary clutter removed. This is evident in the redesigned interior and exterior of the new 60 cars. Inside, the attention to detail, the authentic materials – such as wood and leather – and the easy-to-use controls contribute to the in-command driving experience. Supportive yet comfortable seats that ensure a fresh and relaxed arrival after the longest of journeys have been a Volvo strength for decades. The buyer of a new S60, V60 or XC60 can now specify a new sport seat that retains this traditional comfort and makes a perfect addition to the in-command feel of a true driver’s car. “The new sport seat has great hugging side support all the way from the thighs to the shoulders, so the seat keeps the driver firmly in position when cornering fast. We’ve had nearly one hundred people of all shapes and sizes test this seat and we received a really enthusiastic response. We’ve also made adjustments to the seat back, so it provides more legroom for passengers in the rear,” says Project Director Patrik Widerstrand. There are several other examples of the attention to detail in the new 60 cluster cars. The previously visible washer nozzles have been relocated out of sight under the bonnet. The radar cover has been painted gloss black, which practically makes it disappear in the grille. The chrome frame around the grille has been removed and the new, bigger ironmark badge enhances the new cars’ self-confident look. The new S60, V60 and XC60 offer an extended wheel choice with a variety of designs that increase the personalisation possibilities for customers. “To enhance the visual appeal of the car, customers can now specify their S60 or V60 with expressive 19-inch wheels and keep the same profile height as 18-inch ones, so they don’t lose any comfort,” says Patrik Widerstrand. The new dynamic S60 design, with its purposeful, dynamic appearance, accentuates the car’s sporting nature. Inside, there are upgrades such as new upholstery colours, new wood inlays, a new headliner, and the silk metal frames around the air vents and light controls. And under the skin, at the heart of the dynamic driving experience, is a wide choice of chassis settings, designed around the customer’s personal requirements. 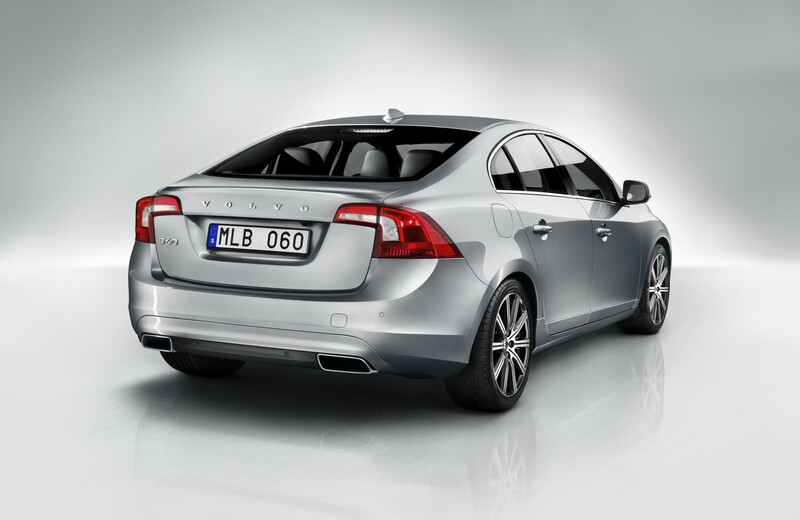 The S60 buyer has a choice of four chassis types – Touring, Dynamic, Four-C (Continuously Controlled Chassis Concept) and Lower Sport Chassis, previously only available on the R-Design version. The new Volvo V60 is the car for people who need the versatility of a station wagon, but want the handling of a sports sedan – all in a stylish Scandinavian package. As with the new Volvo S60, the design team has increased the new V60’s road presence by emphasising its horizontal lines, which visually connects the car directly to the road. The V60’s silhouette is a visual reminder that this is no ordinary sports wagon – it’s a wagon with a coupé-like appearance. The V60 delivers a dynamic driving experience, with the same pin-sharp handling as its sister saloon and with the same chassis options and the same levels of customer preference – Touring, Dynamic, Four-C (Continuously Controlled Chassis Concept) and Lower Sport Chassis, previously only available on the R-Design version. “We’re really proud of the standard Dynamic chassis. It offers a responsive, in-command driving experience and we genuinely believe that it’s one of the best in the segment,” says Patrik Widerstrand. 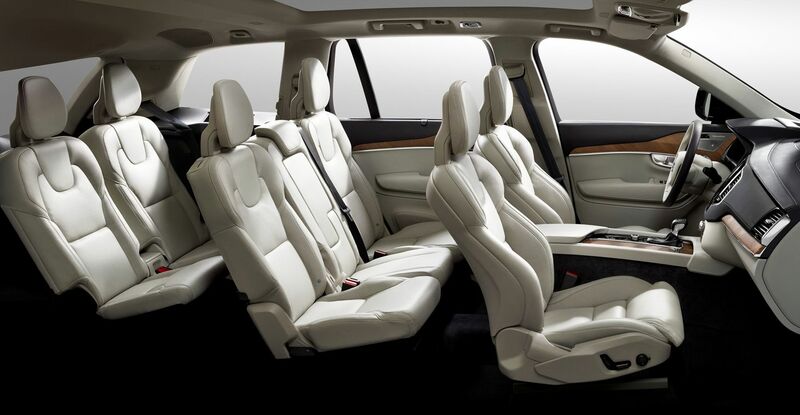 At the heart of the extra versatility of the V60 is its intelligent seating. The rear seats can be folded down in three 40/20/40 segments, so that the rear 430 litres of load space can be supplemented quickly and easily. Parents favour the V60’s two-stage integrated booster cushions for children. With one simple movement, the booster cushions pop-up from the seat base giving a comfortable and safe ride height for children from three years and upwards. On the exterior, Volvo’s best-selling model, the XC60, gets a more urban twist. The redesigned front features a new hood shape that emphasises the wide, confident look. “We’ve taken away any black trim so the car is now all one body colour. The new headlamps look very focused and determined, and the horizontal lines on the grille with its chrome bars emphasise the car’s width,” says Fedde Talsma. The XC60 also benefits from an interior upgrade. The new features include new wood inlays, a new headliner, textile B-pillars and the silk metal frames around the air vents and light controls. The refined XC60 has a commanding driving position supported by generous ground clearance and the class-leading chassis. The XC60 is designed to feel every bit as nimble and agile as a standard height road car. Corner Traction Control now comes as standard. This torque vectoring system helps the driver avoid understeer by applying just the right amount of brake force to the inner wheels while powering the outer wheels when accelerating out of a corner. Sensus is the name Volvo uses for all its HMI (Human Machine Interface) functionality and the all-new Sensus Connected Touch is the latest addition. It enables connectivity and Internet in the car and turns the 7-inch display into a state-of-the-art infrared, beam-scanned touch screen that can be used even when wearing gloves – a world first in cars and handy in winter! Connection is made either via a car-mounted 3G/4G dongle or the driver’s mobile phone. The user has access to full Internet browsing (except when driving), Internet streaming of music, Internet radio (TuneIn and Orange Live Radio) with thousands of channels from all over the world, on-line (Google) Map and Search, Embedded Connected 3D navigation with online traffic info and dangerous zone warnings, Free Parking locator, weather information, a number of native and web applications, App Store for new functions and updates as well as a Volvo service locator. It is also possible to share a WiFi network with everyone in the car. The Adaptive Digital Display, which debuted in the all-new V40, is now available in the new S60, V60 and XC60. This active TFT (Thin Film Transistor) crystal display takes the interaction between car and driver to a new dimension, always displaying the most important information in any given situation. The Elegance theme is the base mode with a traditional and calm aura. The Eco theme features green background illumination, designed to create an environmentally inspired look. An Eco meter is displayed on the left. The current and accumulated fuel consumption figures are displayed – and the driver is rewarded with a green E light when eco-driving is optimal. The Performance theme has red background illumination, creating a sporty atmosphere. In the centre, a rev counter scale replaces the speedometer displayed in the Elegance and Eco versions. Vehicle speed is shown digitally in the centre of the display. The right display includes a power meter – a gauge that informs the driver how much power is available and how much power is being used at any given moment in time. Volvo Car Group continues to push the boundaries of fuel efficiency and CO2 actions across the model and engine range. The fuel consumption of the 84kW, four-cylinder D2 diesel in the new Volvo S60 with a manual gearbox has been improved to a class-leading 4.0 l/100 km (EU Combined, preliminary figures), translating into CO2 emissions of only 106 g/km. The corresponding figures with the automatic gearbox are 4.1 l/100 km and 107 g/km (preliminary figures). Its estate cousin, the new Volvo V60 D2, also has class-leading fuel consumption at 4.1 l/100 km (109 g/km) with the manual and 4.2 l/100 km (110 g/km) with the automatic gearbox (preliminary figures). 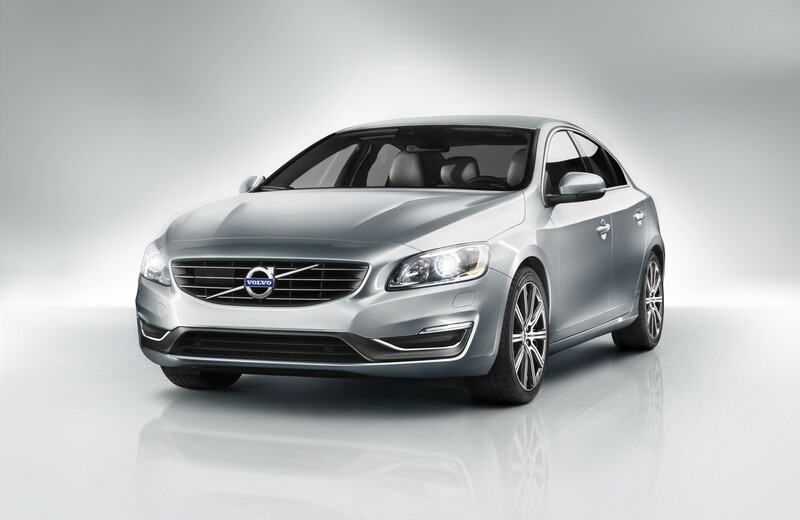 The automatic D3 and D4 versions of the new Volvo S60 and V60 now come with CO2 emissions of 129 g/km (4.9 l/100 km). 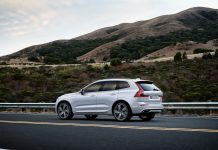 The new Volvo XC60 has also been improved, with both the D5 and the D4 versions with a manual gearbox and All Wheel Drive, delivering a combined fuel consumption of 5.3 l/100 km (139 g/km). There are improvements with petrol power too, with the S60 with the 1.6-litre GTDi (Gasoline Turbocharged Direct Injection) engine T4 (132kW) or T3 (110kW) and automatic gearbox now offering fuel consumption at 6.8 l/100 km (159 g/km). The corresponding figure for the V60 T4 and T3 is 7.2 l/100 km (167 g/km). The three-spoke steering wheels can now be accompanied with paddle shifters for cars specified with automatic transmission. They turn the automatic box into a manual with the benefit of shifting gear with both hands on the wheel. The paddle shifters give the enthusiastic driver an additional edge, particularly when powering round twisty roads. And for the added comfort of drivers in Sweden and other cold countries, the steering wheel can also be specified with heating for increased comfort on cold winter days. The new Active High Beam Control makes journeys in the dark safer and more comfortable. The technology eliminates the need to switch between low and high beam. Instead, Active High Beam Control makes it possible keep the headlights on full beam continuously. When another car approaches from the opposite direction, the system helps to prevent dazzling of the oncoming driver by shading out only as much of the beam as necessary. This is done by an ingenious projector module mechanism integrated into the headlamp. The same benefit applies to drivers in preceding cars. Another innovative option for driving in the dark is the low-speed Cornering Light feature. As an extension of the current Active Bending Light system, it lights up the area the driver is steering towards for safer manoeuvring – for instance, when turning into a small road or driving through a narrow gateway at night. Cars equipped with a rain sensor can now benefit from an electrically heated windscreen for rapid de-icing on cold winter days. The S60, V60 and XC60 are also available with outer rear view mirrors with auto dim. Using chromatic glass, the mirrors automatically dim to avoid glare from other traffic, just like the inner rear view mirror. IntelliSafe is Volvo’s blanket name for all active safety systems, and Volvo’s world-first City Safety technology plays an important part. Fitted as standard, this advanced safety system works at speeds of up to 50 km/h. All models can also get Pedestrian Detection with full auto brake, which watches out for people walking into the car’s path. The S60, V60 and XC60 can also be specified with the enhanced Blind Sport Information System (BLIS), which is now radar-based. 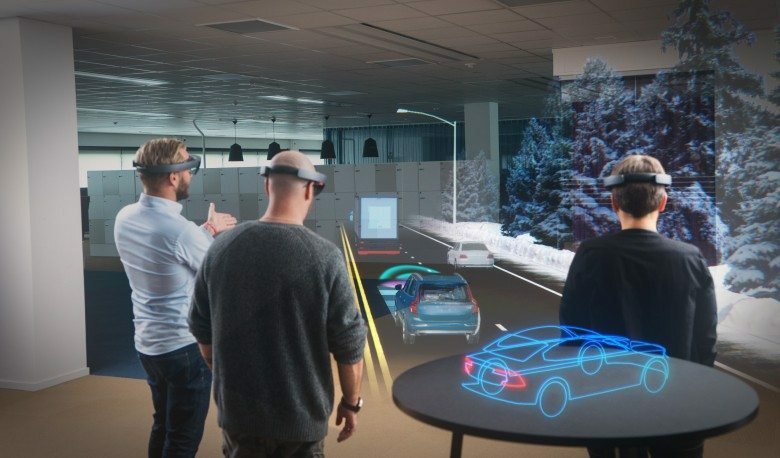 The technology can also monitor and alert the driver to rapidly approaching vehicles up to 70 m behind the car, while still informing the driver about vehicles in the blind spots on both sides of the car. Cross Traffic Alert uses the radar sensors at the rear end of the car to alert the driver to crossing traffic from the sides when reversing out of a parking space. This is especially helpful in tight and crowded areas where the side view may be restricted. Road Sign Information supports the driver by displaying road signs on the instrument display. “As the leader in automotive safety, we have reduced the risk of being involved in an accident or being injured in one of our latest car models by abound 50 per cent since the year 2000. 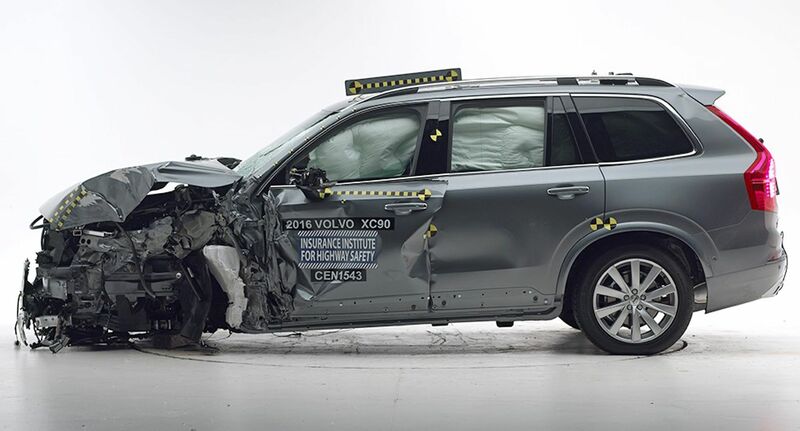 By continuously introducing new preventive and protective systems, we keep moving towards our safety vision that nobody should die or suffer serious injuries in a new Volvo car by the year 2020,” says Thomas Broberg, Senior Safety Advisor at Volvo Car Group. The European launch takes place during July and August this year, and as always we will receive our vehicles about three months later. Therefore, we expect our local vehicles to arrive in late Quarter 4 this year. Local specification and pricing will be announced closer to the time. Therefore, please note that some local specification may vary from that mentioned in this press release.